Are you considering a job in IT but not sure which road to take? This might be common knowledge, but sometimes it’s a good idea to refresh yourself on which role is responsible for what type of tasks. Even if you are already working in one of these professions, this may help you to position yourself toward a new career path. 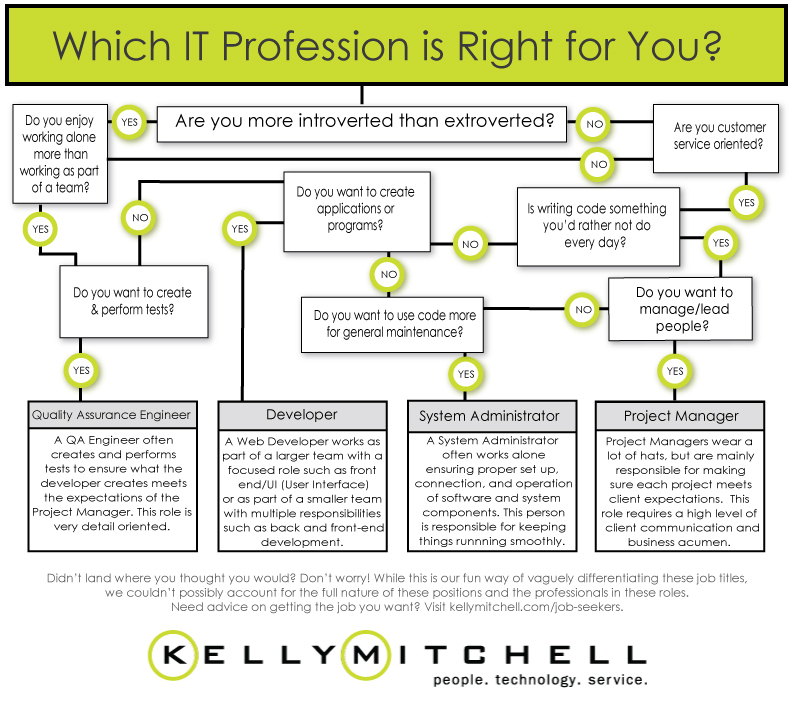 We couldn’t fit all the various IT roles into one infographic, so this is just sample of the jobs we see most often at KellyMitchell. Comment below to let us know where you ended up! Looking for a career in IT? Well you have come to the right place. Check out our open positions near you here.